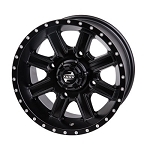 - The SS312 12" Wheel is available in Machined finish only. 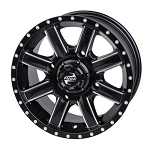 Wife picked these to replace 14" alloy rims that had been on her 2017 Honda Rubicon TRX500FA7 EPS/DCT. The larger rims & tires did not offer as controllable, smooth ride as she wanted. The ITP SS312 rims look great on her machine; they are well constructed with a professional finish. Paired with Ancla 12" 4 ply tires and chrome valve stems pre-mounted by Pure Off Road, this was an excellent value resulting in a flashy look, well handling ride for the wife...….happy wife, happy life! Thanks for getting them to me, as promised, in time for the 7 day ride....super service! 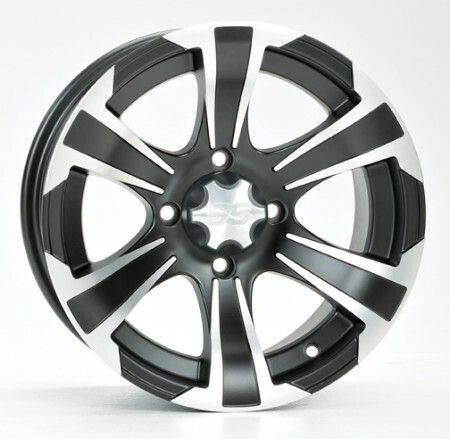 These rims are rock solid and look great too!!! They are a good bang for your buck. I give pure offroad 5 stars awesome experience and will be returning bought itp rims and tire package it arrived early and was just as expected also great prices. I would recommend pure off road to all my friends great job guys. Great looking wheel. excellent service and good pricing. super fast shipping! Love the wheels. Service was excellent. Thanks Pureoff Road. I bought these wheels for my wife's ATV and she loves them. We put them on a couple of days after we got then and are going to try them out this weekend. 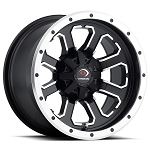 These wheels look great on my 2011 polaris 550xp! 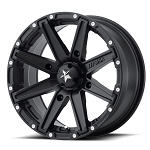 wheels didnt take no time to come in,and they was at a great price!!! A: The wheel manufacturers don't give is exact specs on the inner circle opening and things like that, however we've sold hundreds of this particular wheel over the years and I've never heard of this wheel not fitting over top of those tabs you are referring to on the hub.